Sorry for the lack of updates folks. This summer has been tough on getting projects…at least MY projects done. I’ve been frantically dealing with other folks crises on a pretty regular basis…derailing most of my own plans for work. These have been extensive and expensive. One small thing I HAVE been working on…is ME. As of this writing I’ve lost a total of 177 pounds…77 of it this year alone. It’s a challenge that eclipses anything I’ve ever attempted to tackle. Interested in the particulars? Head on over to the Life Is a Road blog…I’m collecting the fitness posts on their own page. 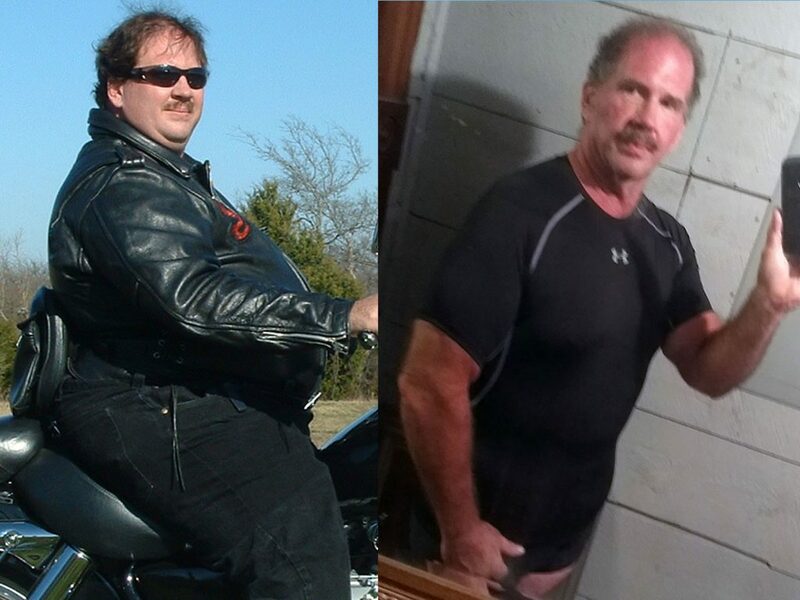 Left: 427 pounds. Right: 172 pounds lighter.